Keep your hair looking it's best with these amazing tips from our Plymouth MI hair salon! With a little bit of time and the right products you can have beautiful, healthy hair every day. When you visit The Q Hair Studio, our stylists will be happy to recommend the best styling products and tools for your hair type. Salon products contain higher quality ingredients, and are more concentrated then drugstore brands. They are specifically formulated to nourish and hydrate your hair. Cheaper hair products that are sold in drugstores and grocery stores contain harsh ingredients and can strip your hair of vital nutrients and oils. Professional salon products are worth the cost and come with added benefits. Invest in a high quality heat styling tool. The best products are the ones that are crafted from ceramic or tourmaline. Ceramic irons allow heat to be evenly dispersed through your hair as you style it, while tourmaline irons help to control frizz by using negative ionic charges that seal the cuticle of the hair. Having your hair trimmed on a regular basis will make a difference in keeping your hair in top-notch shape. 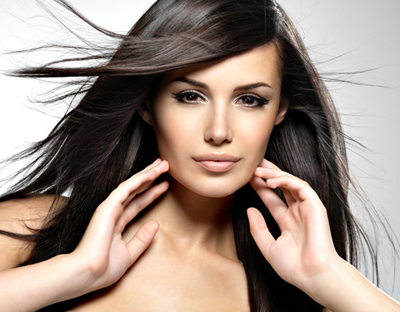 We recommend that you visit our hair salon in Plymouth MI every six to eight weeks to remove split ends. Removing the damage that begins at the ends will make your hair easier to manage and give it a smoother look. Getting a haircut on a regular basis will make your hair healthier and stronger and it allow your hair to grow faster. When blow drying or styling your hair with any type of heat styling tool, it is best to use a protective heat spray. This is important for all types of hair, and will protect it from any cuticle damage. We recommend using a leave in product that is heat safe and tame frizz to give your hair a sleek and smooth finish. A smoothing serum is a wonderful addition to your hair care routine. This lightweight formula will tame frizz while repairing damage. Shampoos containing harsh chemicals can strip your hair of natural oils, leaving it feeling dry and brittle. This will cause your hair to become porous making it hard to absorb and retain the moisture. Our salon experts recommend that you choose a good hydrating shampoo and conditioner that will moisturize and smooth each strand's outer layer. If you use multiple styling products, remember to use a clarifying or chelating shampoo once a month to remove product build-up. Our stylists will be happy to recommend the best one for your hair type and texture.